Are you ready to open your own Residential House Cleaning Business??? Residential House Cleaning has been proven to be a great recession-proof, low cost start up business. Are you ready to start your own successful residential house cleaning business and be your own boss? If so, you are at the right place. We have provided you with all you will need to be set up for success. Below you will find professional and extrememly user-friendly house cleaning business forms which were designed by a professional and have been tried and tested for over 11 years. Look better than the rest!!! Make sure you are professional with your presentation! Below are the forms you will need for your house cleaning business. To see a sample of the forms, click the name of each form listed below. With your purchase you will receive FREE instructions on how to open and edit your files, FREE instruction manual on how and where to use your forms, FREE lifetime business support - we don't charge for coaching (have a question, ask us) and FREE articles on starting and running your house cleaning business! 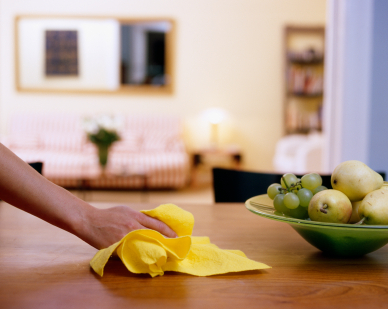 You now have all you will need to run a successful house cleaning business! A perfect package for your residential house cleaning business.� Includes all the�business forms�you would possibly need.� A total�of 14�professional forms for such�a low price!!! This package has�all the forms in the combo package plus more.� It is perfect�for those who want to offer more commercial�services.� A total of�21 forms for one low price!� Click the link for a list of the forms included. Your clients will be glad to see how well-prepared and professional�you are when you have them sign this well-designed service agreement with�a full page of policies and procedures to protect you and your client. Show your customers exactly what you did during your visit by leaving behind this house cleaning checklist. Use this form during the walk thru with your clients. Use this form when your clients call to schedule a cleaning or they want a quote. Separate your IC's from employee's.